A birthday is a fantastic day. For Sean and I, it’s even more special because our birthdays are a day apart. It’s like a 48-hour birthday fest at our house. Add an anniversary four days later, and you’ve got a whole week of celebrating to do. That’s why our most recent trip to Walt Disney World® was so special. Although we went two weeks prior to our actual birthdays/anniversary, we were still celebrating those occasions. If you’ve never celebrated a birthday at WDW, it’s a must do. 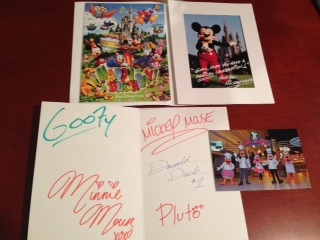 We would be remiss if we didn’t give a big shout out to the fine folks at Disney, and our favorite travel planner Coleen at Mouse Fan Travel, for their customer service, generosity and thoughtfulness in making our birthdays so special. Everywhere we went, birthday surprises were waiting for us. From buttons to cupcakes, to character signed cards and photos, it was truly, truly special. Something funny happens when you’re wearing celebration buttons. 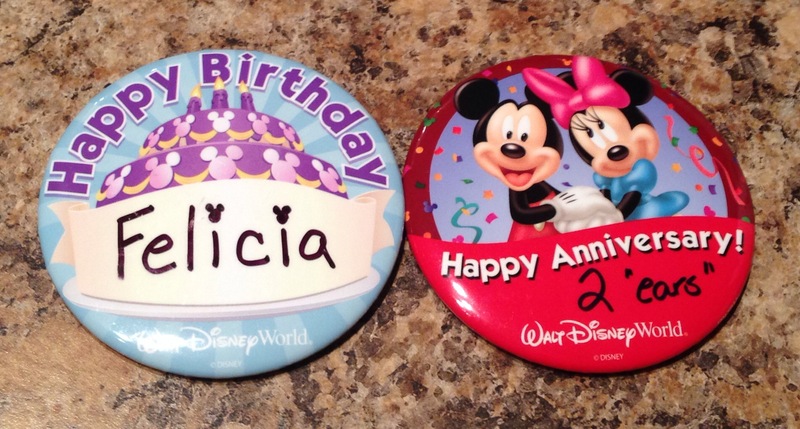 As we mentioned in one of our previous posts, with each new button comes a march down memory lane, reminiscing of times you spent in WDW celebrating different milestones. You also begin to notice buttons others are wearing: “I’m Celebrating…a new job”, “Happy Anniversary…25 “ears””, “My First Trip” (on those both young and old), “Family Reunion”. Of course my favorites are “Just Engaged” (while I discretely stare at the ring) and “Happily Ever After”. It dawned on me prior to our trip that we write about WDW from a couple’s perspective. We’ve discussed engagements and honeymoons, but the most “couple-y” thing to do in WDW is to get married…D’uh! Why hadn’t I thought of that sooner. Probably because we didn’t get married there, and so it never entered my mind. However, now that it has, I had an idea to do a 3-4 part series on Disney Weddings. There is so much involved in planning a Disney wedding, that one post would not suffice. With the help of Kendall Foreman and Fran Cassano, the next few posts from us will be all about Disney Weddings. 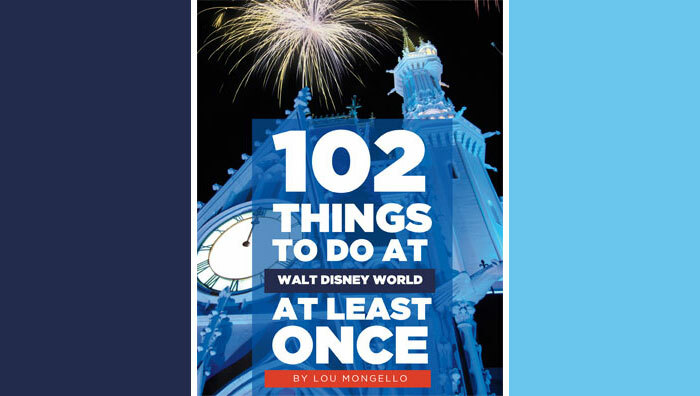 Ironically, it’s kind of good timing since Lou just recently did a live broadcast from the Bridal Expo at Disney’s Grand Floridian Resort and Spa. But until then, let’s get back to birthdays. Have you ever celebrated a birthday in WDW? What fun or exciting things happened to you while celebrating? “New Yorkas” Felicia and Sean are avid Disney fans. Their first vacation as a couple was in Walt Disney World®. They were engaged there, and also honeymooned there. 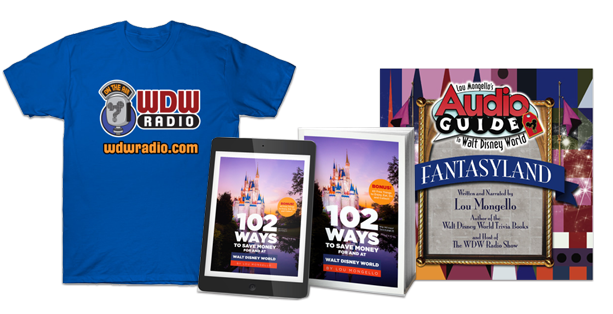 After a combined 30 trips to the World, they are self-professed Disney travel agents and enjoy helping family and friends plan magical Disney vacations.